In the State of Uttarakhand, India there are many places to visit. One of the oldest national park in India is Jim Corbett National Park which is situated in Nainital. This park was established in 1936 as Hailey National Park. The main motive of this park is to protect the endangered tigers. Jim Corbett plays a key role in its establishment so it is known as Jim Corbett National Park. The land area of 520.8 km sq comprises of Hills, Riverine Belts, Marshy Depressions, Grasslands and a large lake and covers 73% of Forest and 10% of grassland. The altitude of this place is 1210 mt. 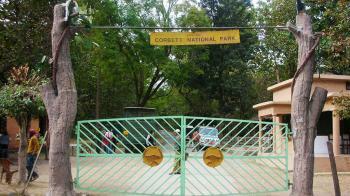 Corbett National Park divided into 5 different zones to promote the tourism. There are many festivals celebrated in this place. Famous festivals are Kandali, Holi, Diwali and Dussehra. This national park is houses around 110 tree species, 50 species of mammals, 580 bird species and 25 reptile species. Kumauni, Garhwali, Hindi languages are used in this place. It is famous for Wildlife and Scenic. In the State of Uttarakhand, India there are many places to visit. Naukuchiatal Lake is one of them. 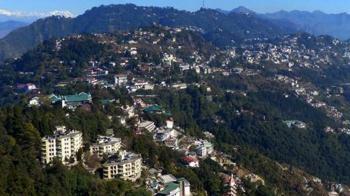 Naukuchiatal is located in Nainital. This lake is also known as " Nine Corner Lake." It is small beautiful hill station covered with greenery. 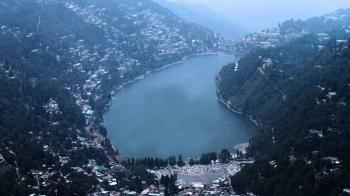 Among all the lake located in Nainital, it is the deepest one. It is good picnic spot. Tempting challenges like Paragliding, fishing etc. are offered here. Escape Festival is celebrated in the month of May in Naukuchiatal. The altitude of this place is 1219 mt. Kumauni, Garhwali and Hindi languages are used in this place. 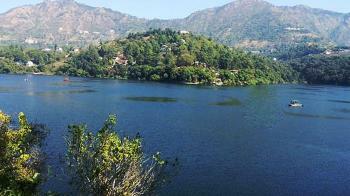 Naukuchiatal Lake is 175 ft deep. This place is situated at a distance of only 26 Kms from Nainital and is well known for its forested lands. This place is famous for Innate Beauty and Hill Station. It is surrounded by deep, widespread greenery and woody forests. There are many festivals are celebrate in this place. Most famous festivals are Kandali, Holi, Diwali and Dussehra. Naukuchiatal is also famous for the Escape Festival which is celebrate in the month of May in every year. The ideal duration of this place is 1-2 days. Auli is the Ski destination in the chamoli district in Uttrakhand state. 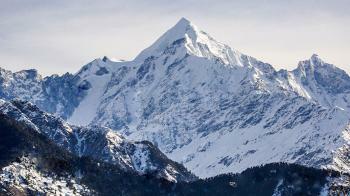 Auli is located at an altitude of 10,010 ft and is marketed as tourist destination. lies on the way to the Hindu pilgrimage destination of Badrinath and is surrounded by the Coniferous and Oak forest, having the paranomic view of peaks of himalayas. The Auli is taken care by the State Govt. Agency known as Garhwal Mandal Vikas Nigam Limited (GMVNL). 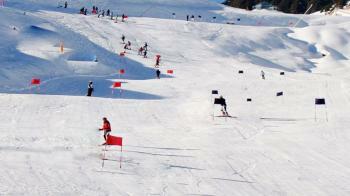 Winter sports competetion are held at Auli by Uttrakhand Tourism Department to encourage skiing in India. Auli has a 4 kilometres (2.5 mi) cable car, a chairlift and a ski lift, along with a maintained trek route. Training center of Indo Tibetian Border Police is also at Auli. In the state of Uttrakhand, India there is nagar palika town known as Barkot. 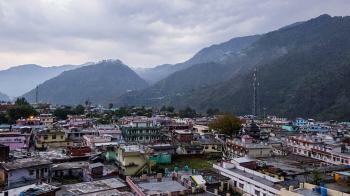 It is located in the Uttarkashi District. It is one of the popular destination of the Uttrakhand. Barkot is good blace for trekking and adeventure sports. The elevation of this place is 1220 mt above the sea level. The Ideal duration of this place is 2 to 3 days. From the Yamunotri, Barkot is located in distance of 48 km. 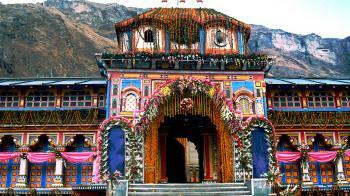 Barkot is famous for the Char Dham Yatra break on the way to Yamunotri. Barkot is famous Natural Beauty and peaks. It is the best place for the nature lovers. In the state of Uttrakhand, India there is a small town known as Munsiyari. It is situated in the Pithoragarh district. It is a beautiful hill station. 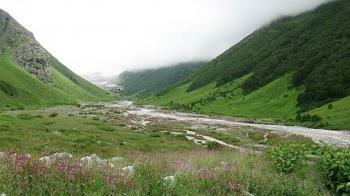 The name Munsiyari is refers to the "Place with Snow". This place is situated at the bank of Goriganga river. For the various trekking point this place is the starting point. The elevation of this place is 2200 mt above the sea level. The ideal duration of this place is 1 to 2 days. This place tag by the name Hills and Lakes. For three glaciers namely Namik, Milam and Ralam Glaciers Munsiyari is based. This place attracts many visitors. This place is best for high altitude trekkers and nature lovers. In the state of Uttrakhand , India there is National Park for visit. 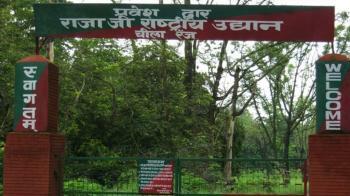 This Park is called by the name Rajaji National park. This park is situated in the Haridwar, Dehradun and Pauri Garhwal districts. This park is a gateway for watching wildlife and bird. In the year of 1983 this park was established. It covers the 820 square km area. The major attraction of this park is rich biodiversity. It is a good place for nature lovers. Rajaji National Park was merged by Motichur and Chilla wildlife sanctuaries. The park has been named after Late C. Rajgopalachari. He was the freedom fighter and Governer General of India. There are many types of species in this nationla park. This park is famous for Asian Elements. There are more than 50 species of mammals and over 400 species of birds in this park. On top of the Jhandi Dhar hills in the Himalayas Binsar National park is located. It is situated in the middle Himalayas near Almora. In this park numbers of animals and birds. These are leopard, civet cat, serow, gharial, musk deer, brown bear and khaliji pheasant etc. This Park is established in 1988. In the 11th to 18th centuries it was the summer capital of the Chand Raj kings. It covers the Area 45 square km. From Binsar at Zero Point there is a clear view of the holy shrines of Kedarnath, Badrinath and Gangotri. 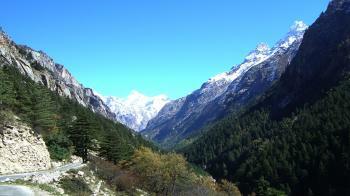 In the State of Uttrakhand, India there is a town known as Gangotri. 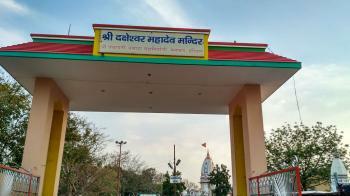 It is located in the District Uttrakashi. 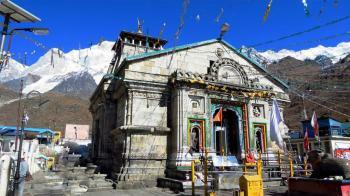 Gangotri is one of the main religeous place and Hindu holy town in the Uttrakhand. The elevation of this place is 3415 mt. above the Sea level. From the Indo-Tibetan Border this place is very near and from the Dehradun the distance of this place is 300 km. Among all the four Char-Dhams this place is one of the holy place. Gangotri place is related to Goddess Ganga. There are many temples in this place. There is a Gangotri temple in this place. This Temple is dedicated to Goddess Ganga. The Temple was bulit by the Amar Singh Thapa. The ideal Duration of this place is 1 to 2 days. 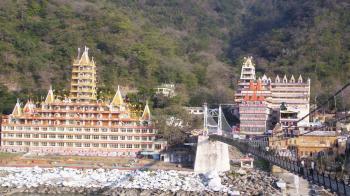 In the District of Dehradun there is a popular pilgrimage known as Rishikesh. It is Located in the state of Uttarakhand, India. It is known as a Gateway to the Garhwal Himalayas and the point for the Char Dham Yatra. Is is located in the foothills of the Himalayas. Rishikesh is popular pilgramage, Adventure sports and Yoga. It is also called World Capital of Yoga. There are many temples in this place. 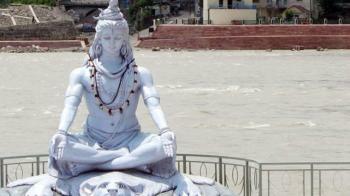 Rishikesh is also spelled by Hrishikesh, Rushikesh or Hrushikesh. The altitude of this place is 356 m above the sea level. Garhwali and Hindi languages are used in this place. This place is famous for Hinduism, Yoga and White water rafting. Rishikesh is place for hiking, backpacking, camping, Rock- Climbing, Kayaki etc. Rishikesh is a alcohol free city. It is a vegetarian city by a law. By three districts Rishikesh is surrounded. These three districts are: Tehri, Pauri and Haridwar. From the Haridwar, Rishikesh is situated at the distance of 25 km. 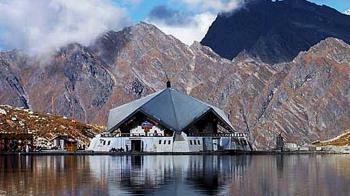 One of the sikh place of worship and pilgrimage is Gurudwara Sri Hemkund Sahib located in Chamoli district, Uttrakhand. It is also spelled as Hemkunt Sahib. This Gurudwara is dedicated to Tenth Sikh Guru, Guru Gobind Singh Ji. Near the Gurudwara, lake is situated called glacial lake. This lake is surrounded by seven mountain peaks adorned by Nishan Sahib on its cliff. Best time to visit to Gurudwara between end of May to beginning of October. Govindghat is the starting point which is situated on the banks of the Alaknanda river. From the most important four sites in India's Char Dham Pilgrimage Kedarnath Temple is one of them, which is located in Garhwal Hills tracks in Chamoli district along the banks of Mandakini, Uttarakhand. It is a Hindu Temple dedicated to Lord Shiva. Best time of philosophy in Between the end of April (Akshaya Tritriya) to November (Kartik Purnima). A large statue of Nandi Bull is stand outside the temple. Lord Shiva manifested in the form of jyotirlingam and is the highest jyotirlinga among the 12 jyotirlingas. The temple is located at Rudra Himalayan range. From the most important four sites in India's Char Dham Pilgrimage Badrinath Temple is one of them, which is located in Garhwal Hills tracks in Chamoli district along the banks of Alaknanda, Uttarakhand. It is a Hindu Temple dedicated to Lord Vishnu. Best time of philosophy in Between the end of April and beginning of November. The Three structure of temple are the Garbhagriha (sanctum), the Darshan Mandap (worship hall), and Sabha Mandap (convention hall). At the elevation of 3133 metes the temple is perched. In the temple, the statue of Lord Vishnu is about 3.3 feet tall and is made up of black stone which is worshipped by pilgrims as one of the eight forms of Lord Vishnu. The image is believed to have Vishnu in a dual form of Nara and Narayana. Nainital About this sound pronunciation is a popular hill station in the Indian state of Uttarakhand and headquarters of Nainital district in the Kumaon foothills of the outer Himalayas. Situated at an altitude of 2,084 metres (6,837 ft) above sea level, Nainital is set in a valley containing a pear-shaped lake, approximately two miles in circumference, and surrounded by mountains, of which the highest are Naina (2,615 m (8,579 ft)) on the north, Deopatha (2,438 m (7,999 ft)) on the west, and Ayarpatha (2,278 m (7,474 ft)) on the south. From the tops of the higher peaks, "magnificent views can be obtained of the vast plain to the south, or of the mass of tangled ridges lying north, bounded by the great snowy range which forms the central axis of the Himalayas."